There are several factors that exert an influence on the health of a pond ecosystem. These factors include size and shape of the pond, water pH, amount of water surface exposed to the air and sun, type of plants present, and presence of pond life. Plants with foliage that floats on water can easily capture light for photosynthesis. Different plant leaf colors and shapes together with flowers of various hues and shape, also add aesthetic value to the pond. Not all plants that are used on ponds are floaters. Submerged plant species are essential for generating oxygen within the pond while providing places for fish to hide. A pond is not a pond without the ubiquitous water lilies whose large leaves also provide shade for the pond inhabitants. There are also bog plants that thrive along the marginal edges of ponds. 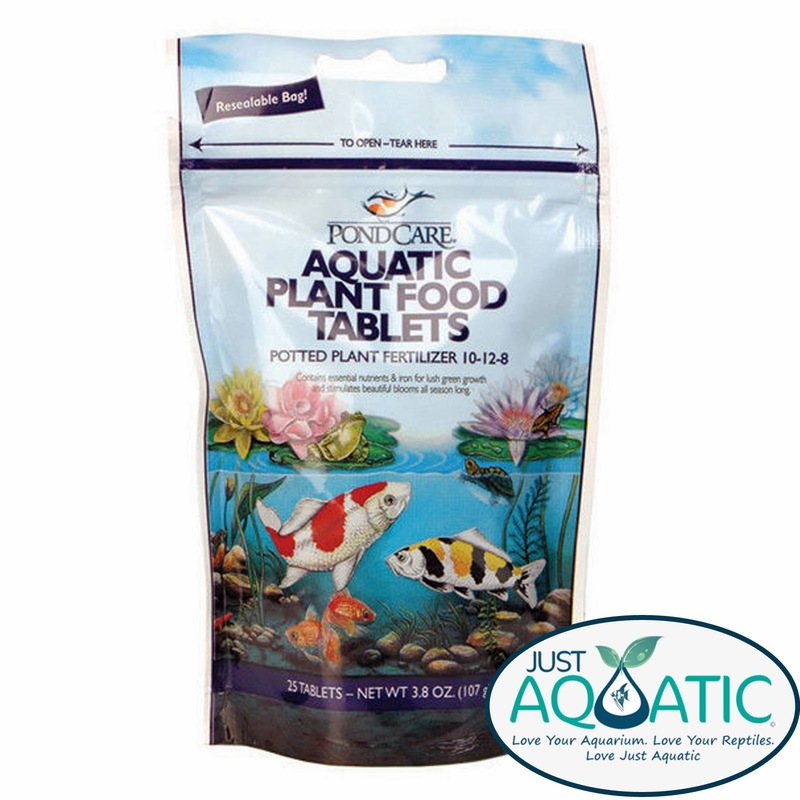 These plants help filter out any undesirable substances and materials present in the pond water. To enhance the growth of aquatic plants, Aquatic Plant Food Liquid® is formulated to stimulate lush green growth of floating plants as well as bog and marginal plants. It can also inhibit algal blooms. The cleanliness of the pond water is an important part of maintenance. The best way to improve the pond's water quality is by selecting appropriate plants and using suitable techniques for pond maintenance. Cleaning out the pond and doing necessary repairs are often done during spring. 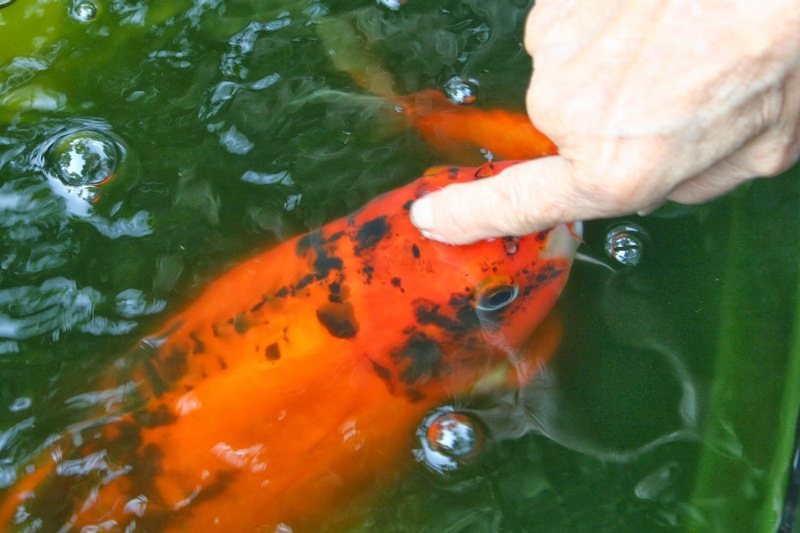 When changing pond water or adding new fish, Pond Stress Coat® is a unique water conditioner that instantly removes chlorine and conditions tap water. Its special formula protects the fish against disease-causing pathogens. It also contains aloe vera that promotes wound healing. In autumn, it is necessary to remove leaf litter and trim any excessive plant growth. 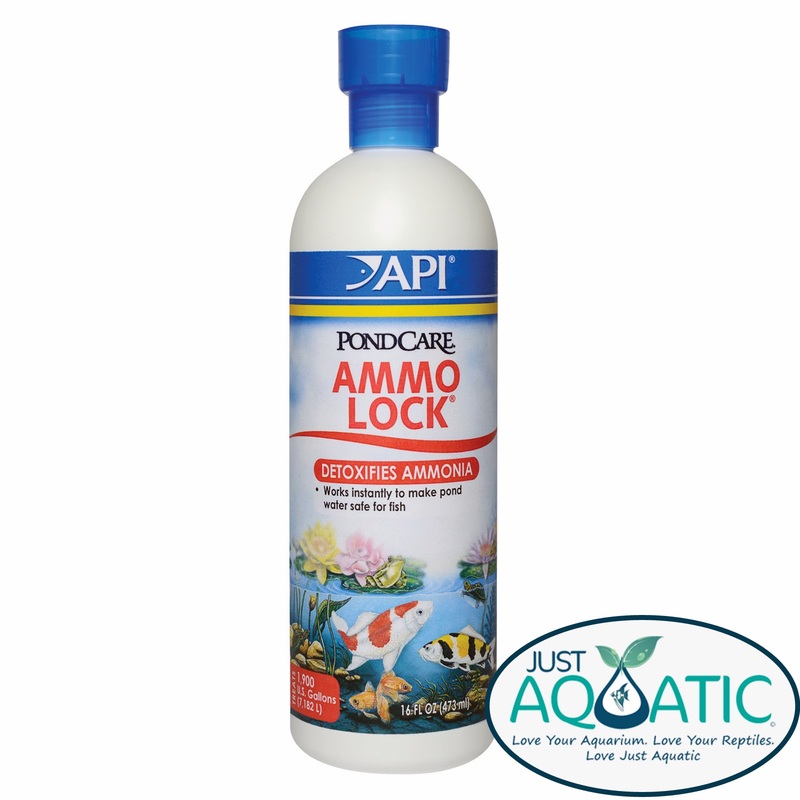 API's Pond Ammo Lock® is specially formulated to remove chlorine and chloramines as well as detoxify ammonia which is continually produced in the pond. Efficient elimination of ammonia results in healthy gill function of pond fish. The warm summer weather warrants prudent checking of the water level and quality, checking for algal growth, and dead, diseased or damaged plants, as well as cleaning out the pond's pump and filter. Barley Clear™ is a highly concentrated suspension with natural barley, peat and natural activators which is effective in clearing out the pond and stabilizing water quality. Adding a waterfall, aerator, or fountain can keep your pond cool, and more importantly, well-oxygenated.